Taste the newest addition to the H.L. 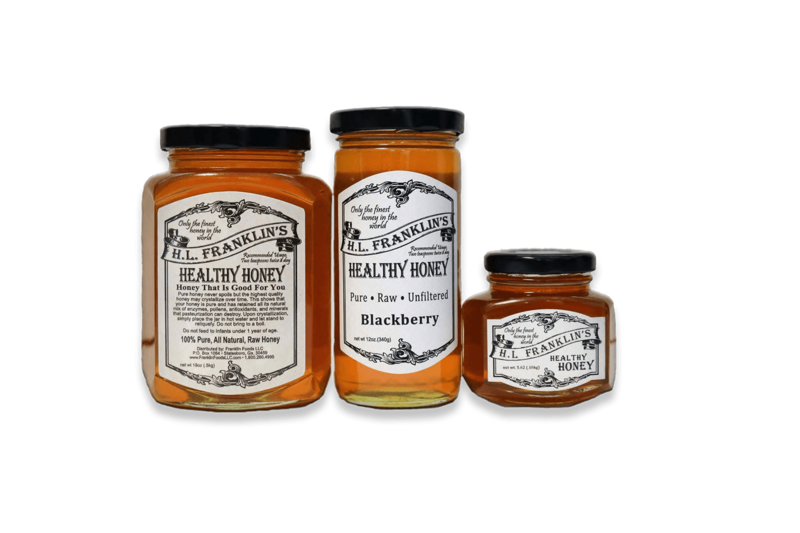 Franklin’s Healthy Honey Family! Our Chocolate Creamed Honey is whipped to perfection using only our pure, raw, unfiltered Georgia honey — there is no cream or anything else added when making it. This creates a superior, smooth, sweet taste and creamy texture. It’s made with 100% organic cacao which is the purest form of dark chocolate and has the most health benefits including antioxidants and anti-inflammatory properties. You can use Chocolate Creamed Honey in all the same ways you traditionally use honey. Since it spreads well and doesn’t drip or drizzle, it can be used as a spread, dessert topping or as a sweet treat straight from the spoon. Our favorite way is to take a nut thin cracker, jalapeno pimento cheese, a dollop of our creamed honey, and a pecan on top. It’s the perfect mix of sweet, salty, crunchy & spicy. 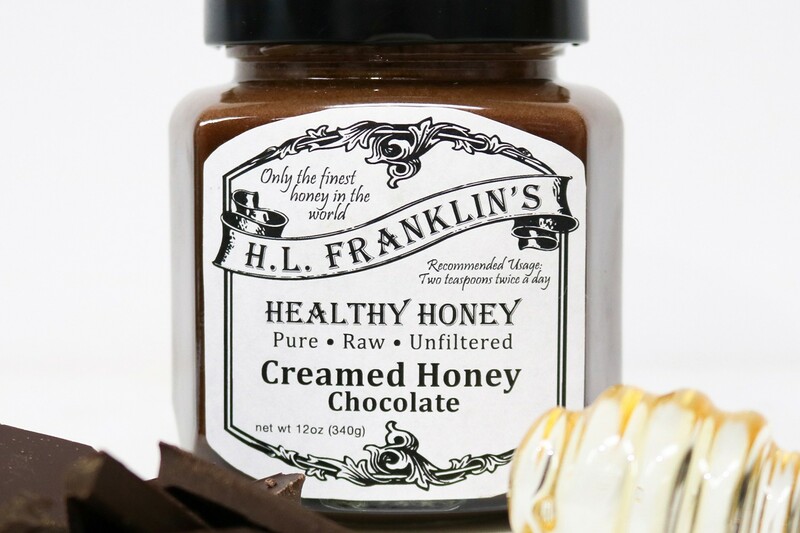 Treat yourself to a jar of our new chocolate creamed honey for a perfect pairing with you next meal!